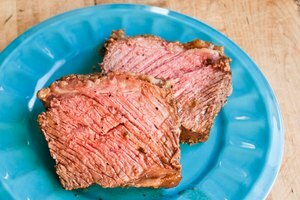 A beef round rump cut, whether it is boneless or bone-in, is a flavorful meat, but it needs some care to prevent toughness when cooking. This cut of meat is usually wet-roasted or braised to prevent the meat drying out. However, the rump can also be sliced into steaks and pan-fried. 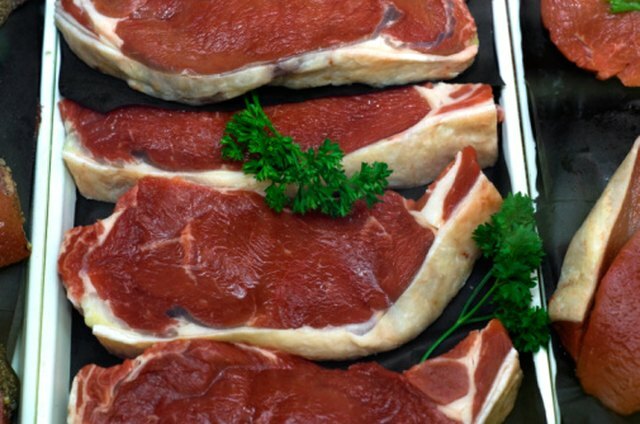 Always choose prime or choice meat that has plenty of even marbling for the best steaks. 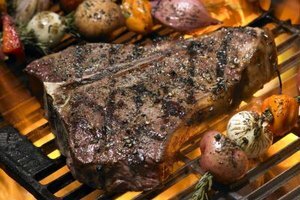 Remove any excess fat that you do not desire on the steaks, while leaving a very thin layer on all sides to keep the meat moist while cooking. Place the bottom round part of the roast on the cutting board. Have the top round and eye of round facing upward. Situate the roast so that the ends are on either side of your body and the fat covering is facing you. Cut each steak 1-to-2-inches thick, cutting against the grain and parallel to the end of the roast, starting on the right-hand side. Place each steak in its own plastic bag. Seal and wrap each bag tightly in the butcher paper, tying it with a string. 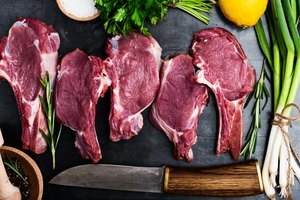 Place the steaks in the fridge and use within several days or place them in the freezer and use within 2 to 3 months. Always be careful when handling a sharp knife. Always wipe down and disinfect your work area thoroughly after you are finished cutting the steaks.